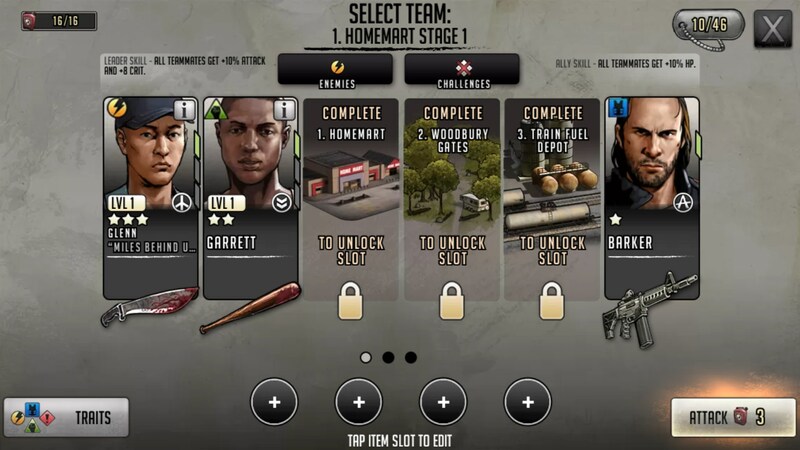 The Walking Dead: Road to Survival – Games for Android 2018 – Free download. 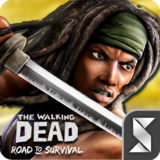 The Walking Dead: Road to Survival – Good gameplay, poor story. Usually licensed video games aren’t good. But The Walking Dead is a comic book series and TV show that beats the norm. Walking Dead: Road to Survival for Android is another mobile game set in the world that Robert Kirkman created in the original comics. 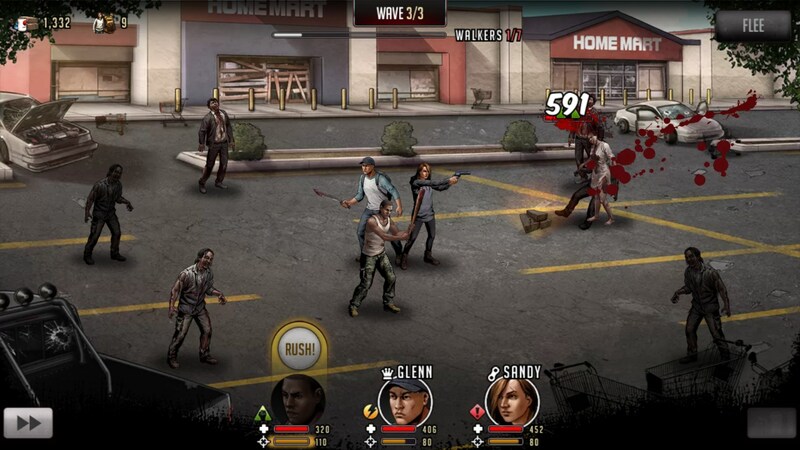 So this game is actually very similar to another Walking Dead game that I recently reviewed. 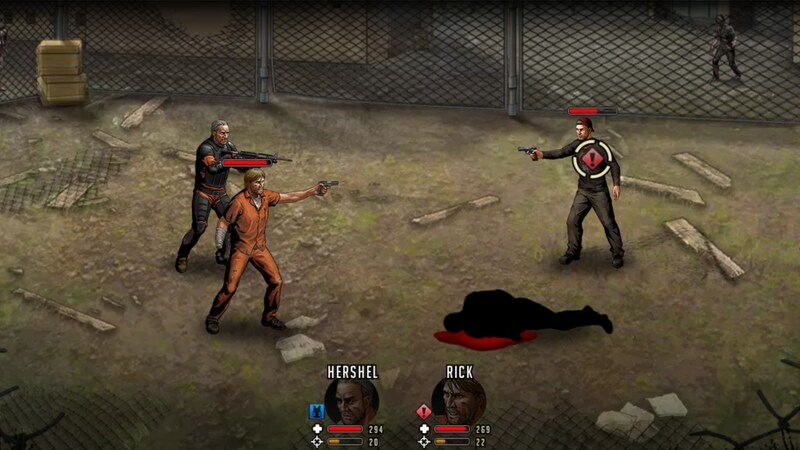 They both feature turn-based combat systems, base building mechanics, and have a bit of a storyline involved. The only real difference is that this one doesn’t seem to be officially endorsed by AMC. Or at least it never comes right out and says it is. 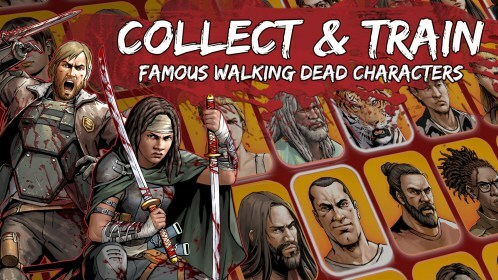 This game is; however, related to the TellTale Walking Dead games. 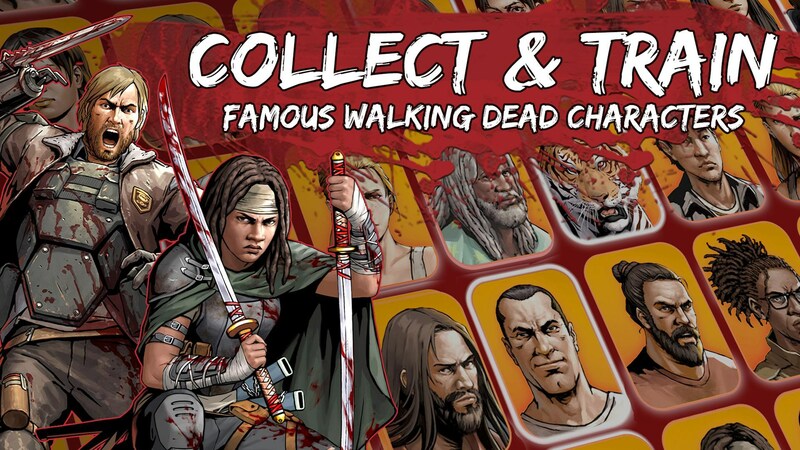 It features characters you’ll recognize from the original series and TellTale’s game. The art is a bit grimier and grittier than the other two games, and it doesn’t seem to mind playing fast and loose with language in the dialogue. 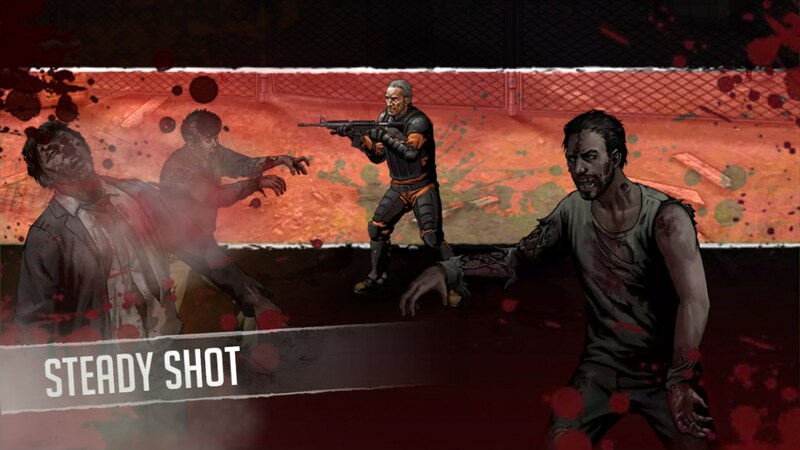 You’ll start off by creating a character and jumping right into some combat. 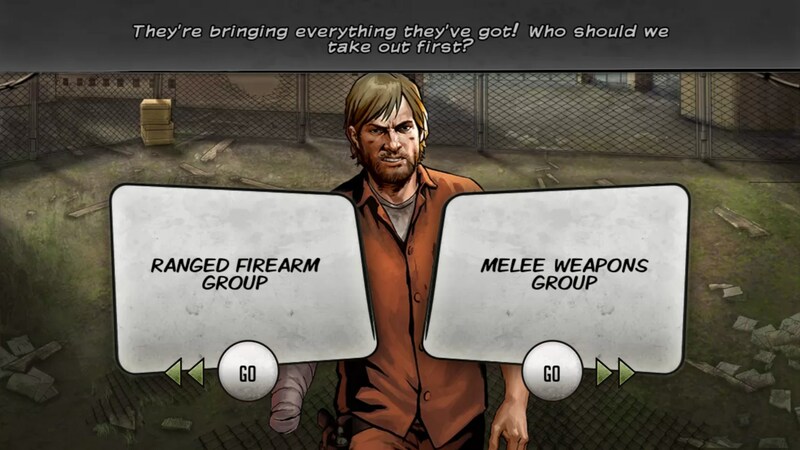 Combat is turn-based, like most mobile RPGs nowadays. You’ll select a character to attack with and a target and watch heads explode. Characters and enemies are both aligned with odd elements that work in a rock, paper, scissors type of way. So some will do more damage to others, and others won’t be as effective. The base building mechanics feel more or less tacked on. I ran into some issues where the game didn’t want to register anything as a touch, instead it would pan the camera slightly. 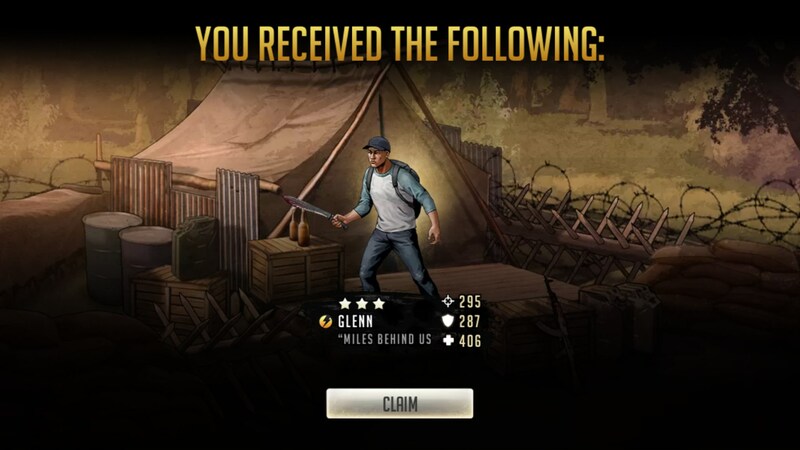 This made the UI in the base building part of the game really frustrating. 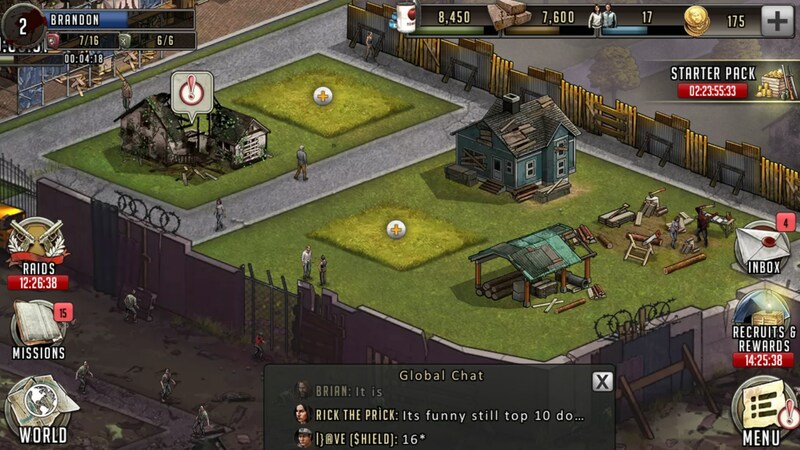 Building up your base just lets you get more resources and do more with your characters, but the game would be just as good without it. 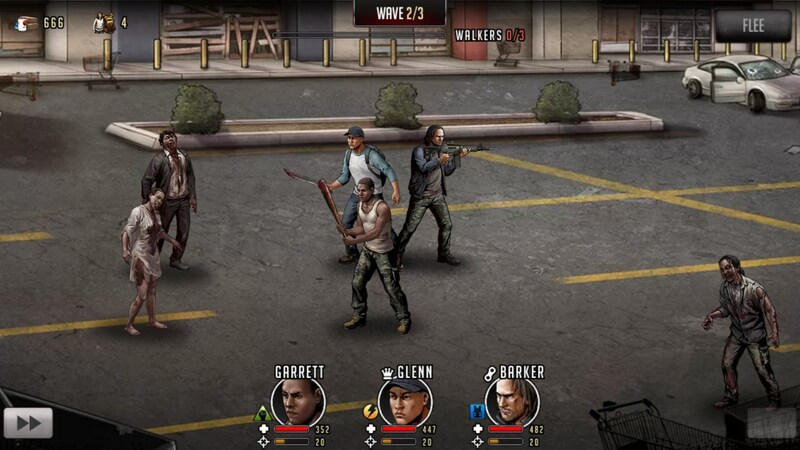 Out of the trio of Walking Dead games I’ve played on mobile, I’d say Walking Dead: Road to Survival is probably my least favorite. The other city builder seemed more focused and polished, and neither really hold a candle to TellTale’s masterpiece. That said, this is still a good way to waste a few hours.